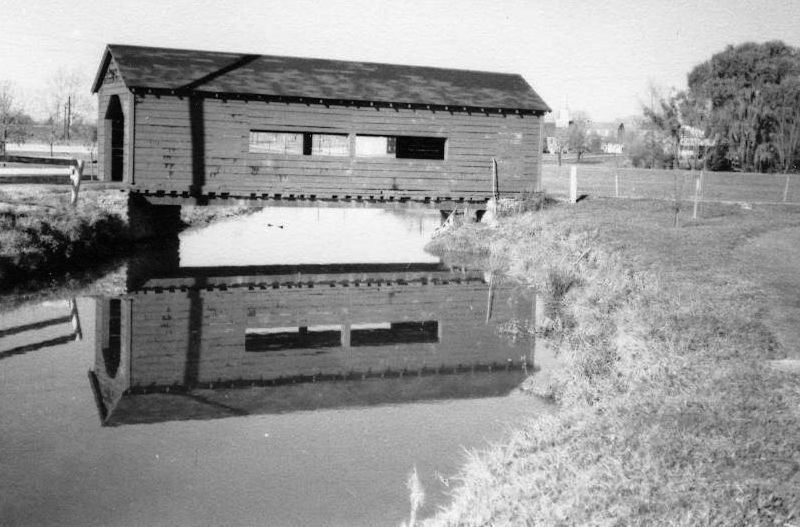 Baker Park Covered Bridge was built in 1965 by the city of Frederick. Carroll Creek runs under the well maintained 40' bridge. 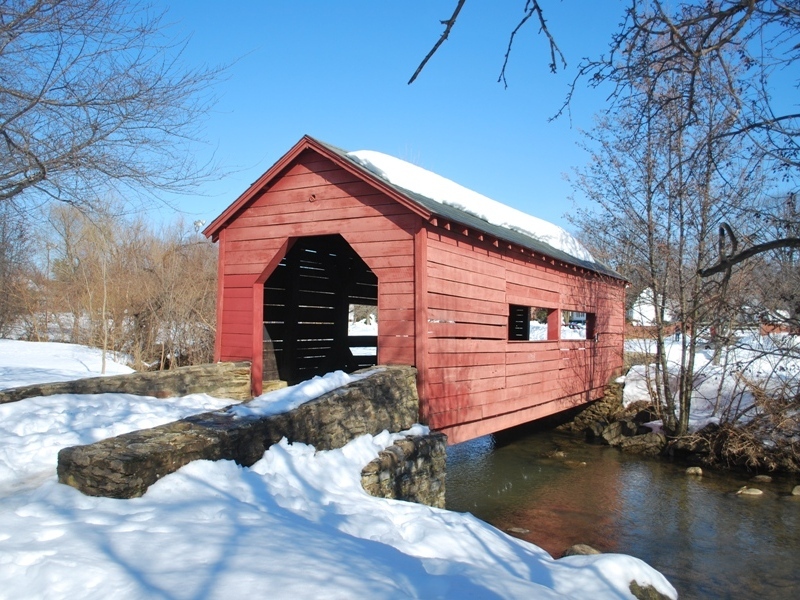 Baker Park Covered Bridge resides in beautiful Baker Park, Frederick, Maryland. Photo above taken 1966, below photo taken January 31, 2016.